With chatbots enabling self-service, artificial intelligence playing a big role in building cognitive automation, and predictive analytics helping with decision-making, there is no denying the fact that IT service management has exciting times ahead. But with these changes also comes the challenge of phasing out outdated tools, managing shadow IT, and, most importantly, staying relevant. What can service desk teams do this year to put themselves in the best place to use new technologies and processes? We asked several service desk managers about their priorities for 2018 and the results of the survey will be discussed in detail in an upcoming webinar. We’ll also share seven things you can do to jump-start your service desk game plan for 2018. The need for service desk teams to adapt to changing technology and processes. 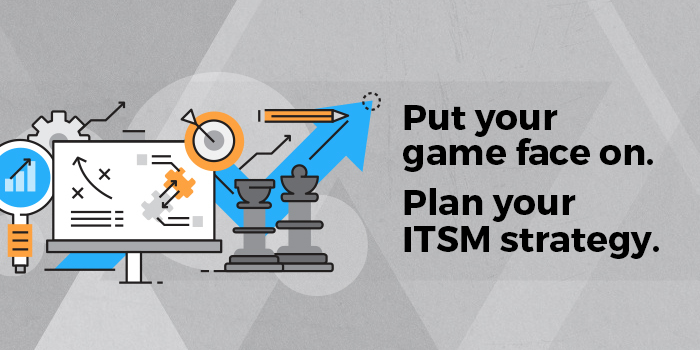 Top 7 ITSM priorities for businesses in 2018. Tips to jump-start your service desk game plan.